The MEP Rapporteur Wim van de Camp has commented after intensive informal talks between Parliament’s negotiators and the Cyprus Presidency, “I am happy with the agreement reached today with the Council”. 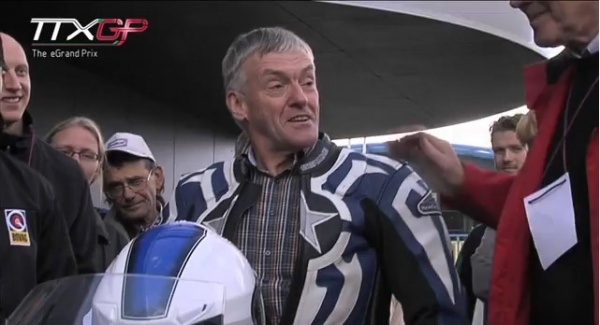 His words are included in a press release from the European Parliament (EP) in which Mr van de Camp, (MEP from the Netherlands) continues, “Of course safe motor cycling is largely the responsibility of the driver, but I think there is still some result to be gained with the technical aspects of the vehicle”. We can only assume that this refers to some of the technical details being sorted through the European Commission stakeholder group, the MCWG Motorcycle Working Group. 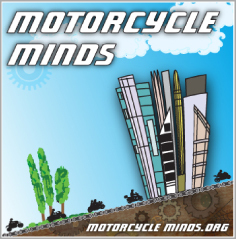 The press release states that, “MEPs closed a deal with Council on safer, greener motorbikes”, with the committee on the Internal Market and Consumer Protection (IMCO), “provisionally agreed by MEPs and Council negotiators on Friday” (29thSeptember). As these vehicles account for 16% of accident deaths on Europe’s roads, even though they make up only 2% of road traffic, MEPs inserted more stringent safety requirements for them, as well as tougher emission targets. The press release under the title of “Safer” reports that, “MEPs agreed that under the new rules, anti-lock braking systems (ABS) would have to be fitted to all “bigger” motorbikes (i.e. those over 125 cc), while ABS or combined brake systems (CBS) could be fitted to smaller ones (under 125 cc), including scooters. In addition we have ensured that after 4 years the Commission should present a cost effectiveness analysis, with recommendations as to whether the rules should be revised. We also introduced new measures to prevent tampering of powertrains to make vehicles go faster”, explained Wim van de Camp. This statement however does not explain the fact that the so called “tampering” measures refer to the smaller motorcycles and mopeds i.e. those that are already restricted as agreed by the IMCO Committee, Council and the Commission. On the green issue the press release claims that, “L-category vehicles emit disproportionally high levels of pollutants,” and that MEPs, “successfully proposed to bring them (pollutants) down by extending the Euro 3 standards to mopeds from 1 January 2016. However, chatting to the Commission representative at the IFZ Conferences in Germany (1st October) – he’s the chap responsible for the proposal on the approval and market surveillance of 2 or 3 wheeled vehicles and quadricycles, he informed Right To Ride that the proposal should be voted on the 19th November – with the caveat that the translations all have to be completed so it might slide to December. Since there was never any intention to restrict rider-modifications and the replacement of parts with aftermarket parts, the agreed amendments are about restricting anti-tampering measures to manufacturer obligations which apply before type approval is granted. These are designed to ensure key safety or emissions requirements cannot easily be tampered with by unscrupulous individuals. Motorcycle enthusiasts and riders with special needs will continue to be able to modify their vehicles and the aftermarket part sales and the repair and maintenance sectors will not be affected. Furthermore, higher and medium powered motorcycles are entirely excluded from the application of these measures and the anti-tampering measures required of manufacturers only cover low performance motorbikes and mopeds. Any proposals for policing or compliance checking and further testing in this Regulation have been abandoned. “The Parliament has agreed to Council’s position on not mandating ABS on scooters (50 to 125cc), it has also agreed with the Council on limiting the anti-tampering provisions to lesser powered motorcycles only and making them manufacturer obligations only, so categories L3eA2 and L3eA3 (high and medium performance bikes) are entirely excluded from the anti-tampering measures. The Parliament has also agreed to not having detailed EU rules on Individual Approval in this Regulation, with this left to national rules”. You were partly right in questioning whether L3e-A2 was excluded from the anti-tampering measures and in that respect it looks like our contact in the IMCO committee got things wrong and gave us incorrect information – in part however. In any event, following your comment, we contacted the people in the Commission for clarification. It would seem from the latest TRL (Transport Reseach Laboratory) report that there are problems with the L3e-A2 category with the installation and even the definition of what would constitute an anti-tampering measure. 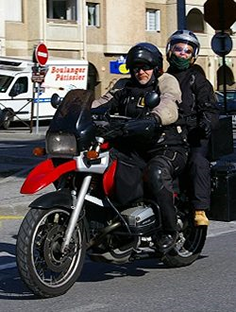 Part of the problem appears to be due to the fact that once motorcyclists have passed their A licence test (or training), they can derestrict their A2 motorcycle from 35kw to 70kw – with the proviso that it is done correctly by the manufacturer in order to ensure type approval compliance. From what we understand this is quite a can of worms. In fact we’ve been asked to provide recommendations to the Commission to find a solution. We do have a very simple one which we will come to. “An initial consideration is that unless there is evidence that motorcyclists of this category actually tamper (which would not be possible because this category does not yet exist), we wonder whether these measures are absolutely necessary and we also wonder whether the enforcement agencies throughout Europe would have the means, time or inclination to want to check these measures – by that I mean police or government agencies. Apart from that perspective, it is worthwhile considering what the actual difference is between the acceleration and top speed of the new Kawasaki Z800E which is “available either as a 70kw machine or fully compliant with A2 licence regulation in its 35kw form”, in Jan 2013”. (fyi – We contacted Kawasaki and have been told that riders can restore the full 70Kw once they have their category A (full) licence and that it is a simple dealer job). “In the 3DLD test in Northern Ireland a rider will be required to be accompanied by an AMI (Approved Motorcycle Instructor) while they are training. So if they have an A2 licence they can still ride their A2 motorcycle unaccompanied (but must be accompanied while training on an L3e motorcycle for an A Licence). Also in Northern Ireland, at the moment, we have a speed restriction of 45mph for one year for all drivers who past a test (also while being trained) and at this point in time, they are required to display an R plate (similar to an L plate but an orange R). After the introduction of the 3DLD which comes into force in January next year, we understand that the NI government would like riders, as part of their training, to be able to be trained to the maximum speed limit i.e. 70mph on motorways and certain dual carriage ways, and 60 mph on single carriageways (which is the maximum speed limit on this type of road). So in the case of an L3e-A2 restricted motorcycle – this would still be capable of getting to a speed limit of 70 mph, the only difference (compared to a 70kw machine) is the length of time it takes to get to that speed and how the motorcycle handles during the acceleration etc. Given that 70 mph is the maximum speed limit anyway for the UK, we can’t see what difference having this restriction would mean whether it’s 35kw or 70kw, simply that with 35kw it’ll take longer. Also as with the Kawasaki Z800E there is no difference with the braking systems, the shock absorbers, front forks – i.e. handling characteristics, nor we assume – the weight because the restriction would be within the engine management – and this is simply in relation to the difference between the A2 restricted motorcycle with 35kw and the equivalent 70kw model. As far as we are aware there is no evidence to suggest that the acceleration rate is a cause of collisions. So on that basis, even the category of A2 appears to be irrelevant! This is something we raised many years ago during the discussions for the 3DLD, unfortunately at that time, the industry and the Commission, did not accept our arguments. With regards to anti-tampering measures and restrictions, in the USA, there is a very simple way of identifying whether a motorcycle is restricted and the method of preventing tampering is equally simple: the Environment Protection Agency (EPA) has set out guidelines regarding installation requirements, which motorcycle manufacturers have to follow. In other words, if there is to be no tampering, a label is required to spell it out. If the motorcycle is then tampered with, this would be picked up by enforcement agencies which may be the police or in the case of Northern Ireland, during the annual MoT test. One final comment to make, concerns Wim van de Camp. We watched the IMCO meeting video of Thursday 11th October concerning the vote on the Approval and market surveillance of two – or three-wheel vehicles and quadricycles. We have asked him what agreement this would have been and where this would be referred to in the text as regards an agreement in allowing changes – i.e. modifying things – but not allowing boosting the power of the vehicle. As you know not all modifications to a motorcycle are to boost power. Maybe his comments got lost in the translation but as we have followed the text very closely, we cannot recall not allowing “boosting the power of a vehicle”. Maybe this refers only to powered two wheelers of 125cc or less, to retain the present anti-tampering for these motorcycles, scooters and mopeds. Perhaps you could enlighten us? Yes we are sure from information received back in June. “categories L3eA2 and L3eA3 (high and medium performance bikes) are entirely excluded from the anti-tampering measures.” Are you sure about that? Our thanks to independent rider and “won’t let an issue drop” Andy Baker for forwarding the correspondence he has received from UK MEP Vicky Ford – Conservative Member of the European Parliament for the East of England, regarding the regulation proposal on type approval. This provides a further understanding of what has been agreed in final negotiations as the proposal heads for a parliamentary vote. Also our thanks to MEP Vicky Ford for her comphrehensive reply. “Further to my previous email I would like to update you on this matter. The Committee on the Internal Market and Consumer Protection (IMCO) which my conservative colleague Malcolm Harbour chairs, leads on this work. The European Parliament’s negotiations with the Council on this dossier were successful and have now come to a satisfactory close. The final vote in Plenary in 1st reading is now due to take place during week 47 (late November 2012). This position will then be endorsed by the responsible Ministers of EU Member States, and the Regulation will become law after two years. In final negotiations, IMCO’s draft proposal for the mandatory fitment of Anti Lock Brake Systems (ABS) on lesser powered motorcycles was abandoned, recognising that cheaper combined braking systems (CBS) already perform satisfactorily. However, the cost benefit analysis for ABS on higher powered (125cc and above) motorcycles has always been clear. Many manufacturers already have ABS fitted as standard on higher powered motorcycles. Moreover, nothing prevents them from fitting an ABS off switch for certain driving conditions. On the question of anti-tampering measures, the final agreement is to address only those motorcycle modifications which are harmful in terms of functional safety or detrimental as regards their impact on emissions requirements. These measures are now focused on vehicles which are already limited in speed or power. Moreover these are requirements for manufacturers only, before type approval is granted. We are confident that the measures agreed will not stop anyone sensible from customising or modifying their motorcycle. Furthermore, it will not be forbidden to sell parts for racing vehicles so long as these are type-approved, so the new law will have no impact on track day riding, contrary to what some have suggested. No one ever supported banning standard modifications and part replacements. As regards the Commission’s delegated powers to make further technical adjustments to this framework Regulation once in force, this allows for technological innovations to be taken on board, and is therefore more industry friendly than legislation which is static. Also, for the EU’s industry to remain competitive, manufacturers cannot wait any longer for modernised EU regulation, as this will provide them with the legal certainty they need to roll out new investments. In any case, the European Commission will carry out consultations before using its delegated powers and the European Parliament can block any individual measure, which would, as a result, require a full legislative procedure. Proportionate durability testing requirements on manufacturers and a realistic implementation timetable for the detailed provisions of new Regulation were also agreed. Right To Ride Note: Case 0875/2011/JF is a complaint submitted to the European Obusman by MAG member Jon Strong against the European Commission, regarding several issues.